A crowd of over 30 key players in the Malaysian transport and logistics business attended the business seminar and oil filtration technology demonstration conducted by GLW Oil Purifiner Pte Ltd. 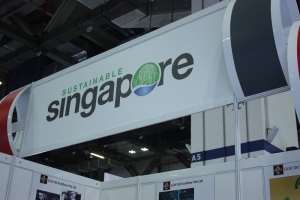 The demonstration, held at Crystal Crown Hotel, Johor Bahru, showcased GLW oil filtration technology and its capabilities. The audience witnessed in just over an hour, a vial of dirty oil was cleaned & removed of the impurities, carbon black and returned the back to its original golden color. Video and photos of the live demonstration below. Close to 50 people attended our live demonstration of GLW Oil Filtration Technology on 14th May 2011 at Ramada D'Ma Hotel. Co-organised together our Thailand dealer, C.A. 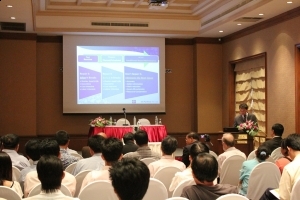 Technologies, the attendees comprised of players in the industrial and transportation sectors in Thailand. 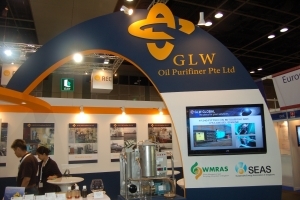 The demonstration presented GLW oil filtration technology and its capability to clean dirty oil back to its usable state. In just over 1 hour, the audience witnessed a canister of dirty oil was cleaned & removed of the impurities back to its original state. Photos of the live demonstration available after the jump.